With 4 bedrooms, 2 bathrooms with a large ensuite powder room The Pinnacle is sure to impress. This beautiful family home also comes with a massive upstairs activity space, an open plan living and alfresco area and double lock-up garage. 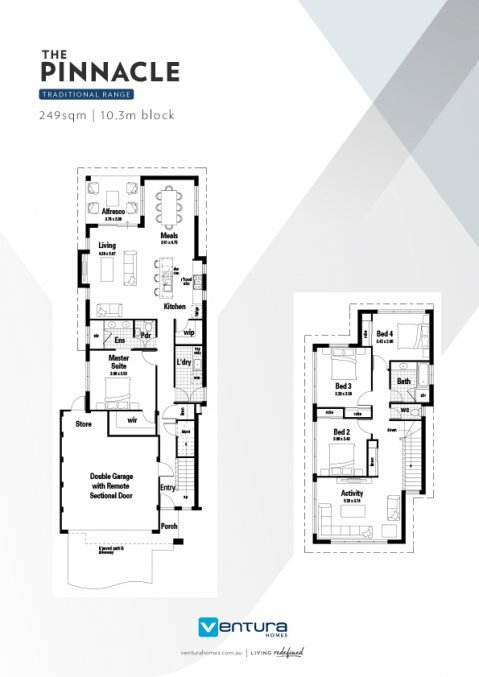 Discover The V2 Pinnacle home design.